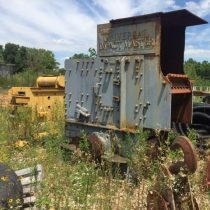 6′ X 10′ Rotary drum coal crusher with 2 1/2″ openings. 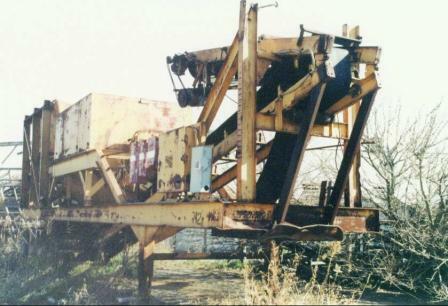 Feed hopper with detachable grizzly with belt feeder. 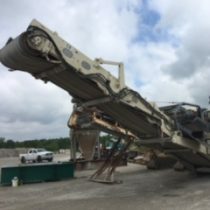 18″ X 50′ discharge stacking conveyor. 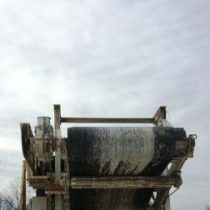 Includes 5, 10 & 15 HP electric motors, starters and disconnect. 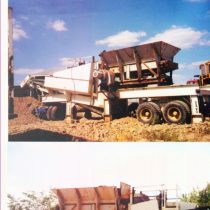 Mounted on tandem axle trailer.